How we ship your goods! 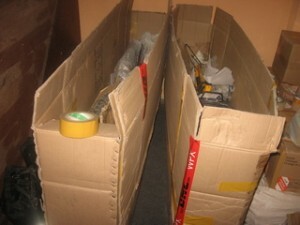 Home » How we ship your goods! For over 16 years Direct Way Express has built a stellar reputation based on Trust, Reliability, Honesty, Speed, Efficiency and a dedication to our customers. Pick up service can be given upon information of the clients within an hour inside of Kathmandu valley. You need to inform a day earlier if it needs to pick up from the other destination out of valley. Arrangement can be done upon a phone call, Email or by fax. We have 3ply, 5ply and 7ply Cardboard boxes and jute bags according to the size and nature of the commodity. paper-cuttings are also available at our warehouse. Short or long-term storage and warehousing is available at the heart of Kathmandu. 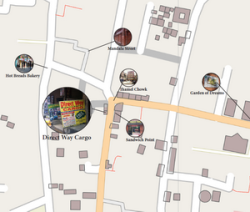 Our warehouse is located in Thamel which makes it much easier for you to collect goods from business-houses and prepare packing-lists. We are also available for collections nationwide. Our dedicated team is divided into different parts of national and international shipping. 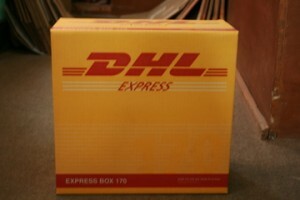 Once the shipping information is received all the necessary documents will be prepared. We prepare the entire necessary documents upon your request at no extra charge. Direct Way Cargo offers its clients worry free delivery of shipments. Through our reliable customs agents we offer a full range of customs clearance and trade services to both importers and exporters. From TIA airport to any major border, Direct Way Cargo has representatives standing by to provide you with the most extensive coast to coast coverage. Your shipments are cleared upon arrival and without delay. Our team is well-informed about all taxes, tariffs and custom regulations in Nepal which may be applicable to you. Any additional customs charges that may be due will be shown to you well in advance of any finalization of terms. Air mail service is a postal service through which non commercial and non urgent goods can be shipped. It takes 10 to 15 days depending on destination. This is another service that the general post office can offer. It takes between one and three months to get to its destination. We move via air from Kathmandu to Calcutta port where it embarks by ship. For valuable and commercial goods this service is not recommended. Direct Way Cargo provides a wide range of trucking services. Our computerized network allows us to track down a suitable truck, whether it is for high mountain or terai region, we are capable for arranging logistic services with high quality at the best possible price. You receive the best prices due to the fact that a number of trucking operators listed in our computerized network are returning from trips and offer substantial discounts just to carry something back to their former destination. With your confirmation, we can have a truck ready to service your needs within moments. Express cargo is a part of business at Direct Way Exporters. Our Express cargo service takes care of your packages on a rush or same day basis to any and all places around our boundless world. We will deliver your freight when and where you need it. To ease your worries we offer a systematic process whereby deliveries can be tracked by the hour. As a member of the airline community we are able to find the best express service for your needs; whether they are large or small jobs, heavy or light. All inclusive in our express cargo service is a door to door service, you need not lift a finger…maybe, only to sign your receipt!